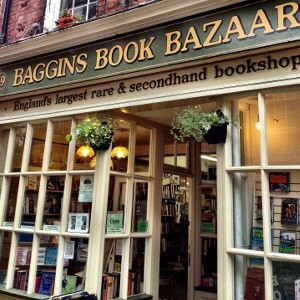 If you live in England, and you love second-hand bookshops, why on earth have you never visited Baggins Book Bazaar?! It claims to be England’s largest second hand bookshop – which is no surprise since the rickety old shop has more than half a million books on sale. 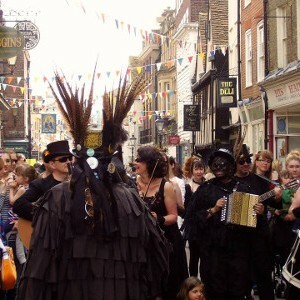 It is based in the historic city of Rochester, which is easy to get to, being less than a hour from London on the train. 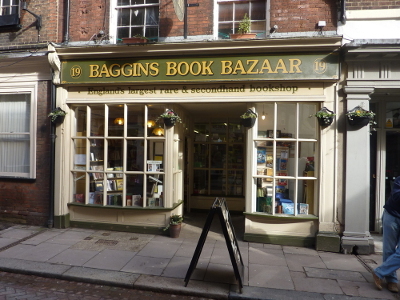 With Baggins Book Bazaar (which is almost a museum itself), the Guildhall Museum right next door, Norman Castle and the Cathedral, Rochester makes for a brilliant day out (or two), and most definitely a worthwhile place to visit. 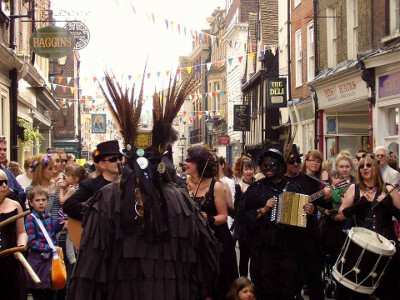 The bookshop has even made it on the Visit Kent website (www.visitkent.co.uk) as a place to visit (we didn’t expect anything less). The numerous rooms and aisles are filled with thousands of books, on most subjects. 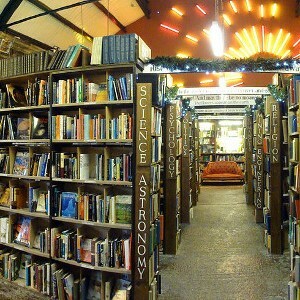 There are large sections on natural history, biography, fine art, foreign travel, fiction, and children’s books. Also, if you follow the old wooden staircase upstairs, you will the literature. You are more than likely to leave the store which a book on an interest you never even knew you had, everything is so intriguing! 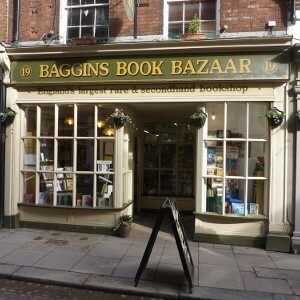 Baggins Book Bazaar offer a thorough search service for out-of-print titles, a prompt order serivce for any book which is in print, as well as hold occasional local-history events, book-signings, and talks by authours and experts on a broad range of topics. What’s more, the bookshop is open 7 days a week, the staff are lovely and pets are welcome. 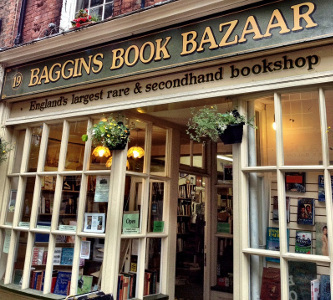 While there are plenty more bookshops in Rochester, none are as big, interesting or unusual as Baggins Book Bazaar, which really does out-do them all!